Boss Executive Fabric Office Chair [B8801] Free Shipping! All the same quality and comfort as our leather version but now available in fabric. Contemporary styling in your choice of 2 fabric colors. Built-in lumbar cushion reduces stress on your lower back. Waterfall seat edge promotes leg circulation. Also features fingertip pneumatic seat height control which instantly raises and lowers your seat from 17" to 21" from the floor and tilt tension adjustment which controls rocking motion--a little or a lot. Dimensions: Seat size: 20"W x 20"D x 3"Thick. Back size: 20"W x 25"H x 3"Thick. Width from outside arm rests is 25.5". Fully warranted by Boss Office Products. 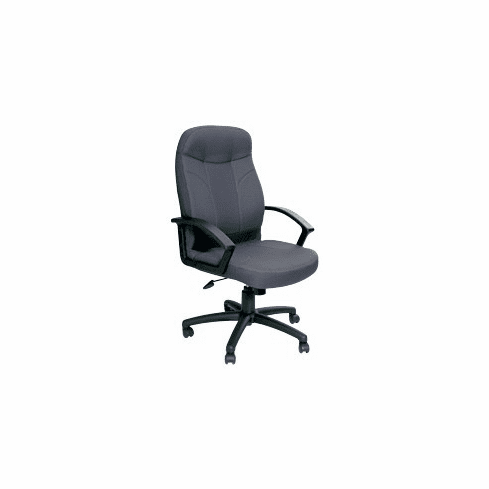 This executive fabric office chair normally ships within 2-3 business days from our GA or CA warehouse.